For business and conference venues, Devon is perfect – being as creative and freethinking as it is beautiful, and less than 2 hours from both London and Manchester. As well as a wide selection of hotels, educational buildings and conference centres there are plenty of more unusual venues offering event organisers great choice and flexibility. Those looking for team-building activities are also spoilt for choice: sailing, paddleboarding, golf, cookery schools … whatever it is that you think your staff and colleagues will enjoy, we have it in Devon – and then some. Whether you need an intimate room for a small meeting, a large venue with break-out areas, or somewhere special to hold an event, you’ll find what you need in Devon. Devon has large hotels and conference centres in fabulous locations which can accommodate hundreds of delegates, often with smaller areas for breakout spaces, and with all the tech you’ll need for your presentations. With the addition of bars and restaurants where you can gather at the end of the day, plus leisure facilities where you can recharge the batteries or hold teambuilding activities, these large venues offer everything you need – as well as dedicated business teams or event organisers to help you bring it all together. If you’re looking for something on a smaller scale, there are many choices too. Many of Devon’s country house hotels – and some privately-owned country piles – offer a unique setting for smaller conferences and business meetings great and small – a fantastic choice if you’re in search of an inspirational venue. 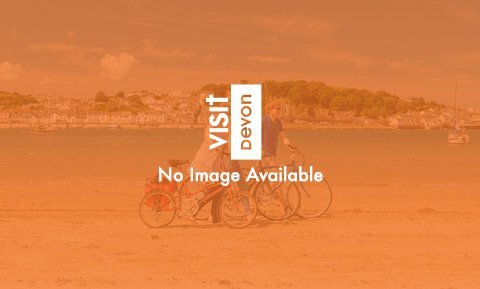 Though it feels a world away in terms of beauty, scenery and inspirational surroundings, Devon is actually very accessible from most major UK cities. Fly to Exeter from London, Manchester, Newcastle, Norwich (all approx. one hour), Edinburgh or Glasgow (1h 30mins), at very reasonable prices. Or take the train – Great Western Railway’s services of course run all over the county, and Devon is just over two hours by train from London and Birmingham, and four from Manchester. Those who choose to drive arrive via the M5, which takes visitors through to Exeter, and on to Plymouth via the three lanes of the A38 Devon Expressway.